Get professional services and best quote for your Translation, DTP, Editting, Localization services. we provide Language services in more 80+ languages. Oriya, which is officially spelled as Odia is an Indian language and belongs to the Indo-Aryan branch of the Indo-European language family. This language is mainly spoken in the Indian states of Orissa and West Bengal. It is one of the many official languages in India and the second official language of Jharkhand (India). LANGLABS brings you the complete language solution. Being masters in the language services industry, we provide service support in over 150 languages across a plethora of industry sectors. With years of expertise backed at our end, we deliver the highest quality in respect to any requirement. A show of all marathi filmi/non filmi songs. Bhasha BHarati Arts is a Certified Indian Translation Company provide translation services for all indian languages we also provide other services such as proofreading, voiceover, transcription & typesetting services. 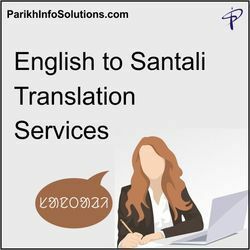 We hold expertise in providing our clients with Financial Translation Services for all types of organization, be it multinational company or big corporations. In this area of globalization, now our organization is a common place for the organization to avail their financial information in various languages. Our company has earned accolades in providing Indian Languages To All Indian Languages Translation Service.